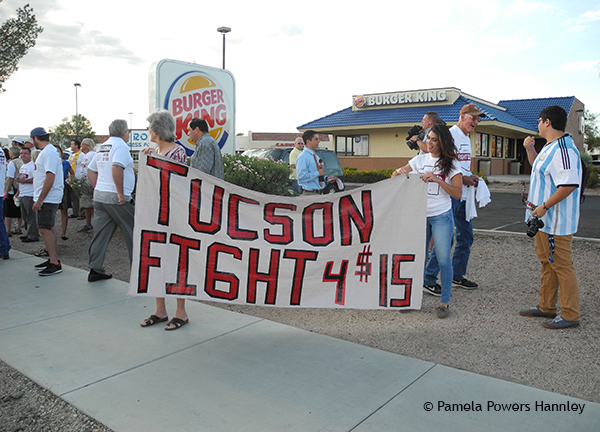 Burger King workers in Tucson went on strike in early September 2014. It was part of a 150-city nationwide action organized by SEIU. Service Employees International Union (SEIU) has organized another fast food strike today, December 4 in Tucson and around the country. This is the third nationwide fast food strike in a year, with one in December 2013 and one in September 2014. Protesters, strikers, and supporters will meet around 12:30 at Casa Maria, 401 E 26th St. in Tucson. You can also watch what is going on nationwide on Twitter by following the tags #SEIU, #StrikeFastFood, and #FightFor15 and watching for Tweets below on this page. 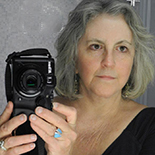 This entry was posted on December 4, 2014 by Pamela Powers Hannley in Arizona, democracy, economy, equality, Free Speech, jobs, minimum wage, organizing, reform, War on Poverty and tagged #FightFor15, #StrikeFastFood, SEIU.